Happy Thanksgiving to all you Ultra-Fans! To celebrate, today we’re featuring the Prime balloon from the 1994 Macy’s Thanksgiving Day Parade! This comes from Prime #19 written by Gerard Jones & Len Strazewski, with pencils by Dave Cockrum & Tim Hamilton, and inks by Keith Aiken & Rodney Gates. 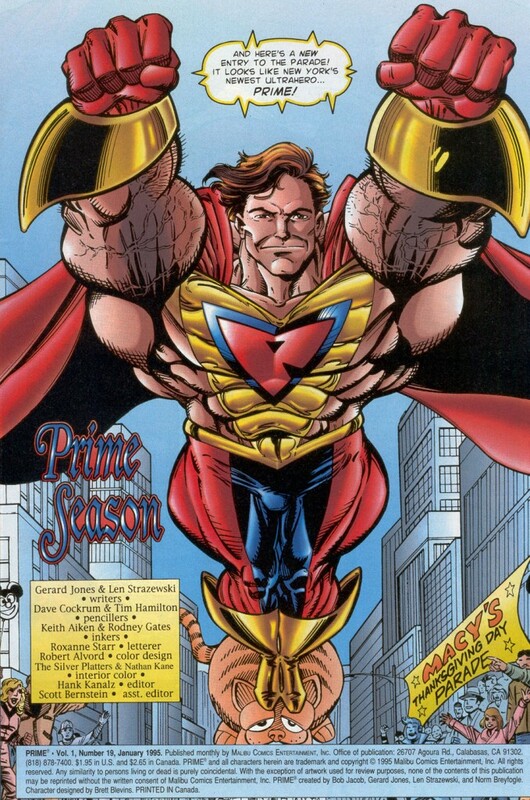 This year I’m thankful for the fun we’ve had with the Ultraverse Network! Celebrating these characters, interacting with fellow fans and creators alike, and finding my joy reading these comics over again!